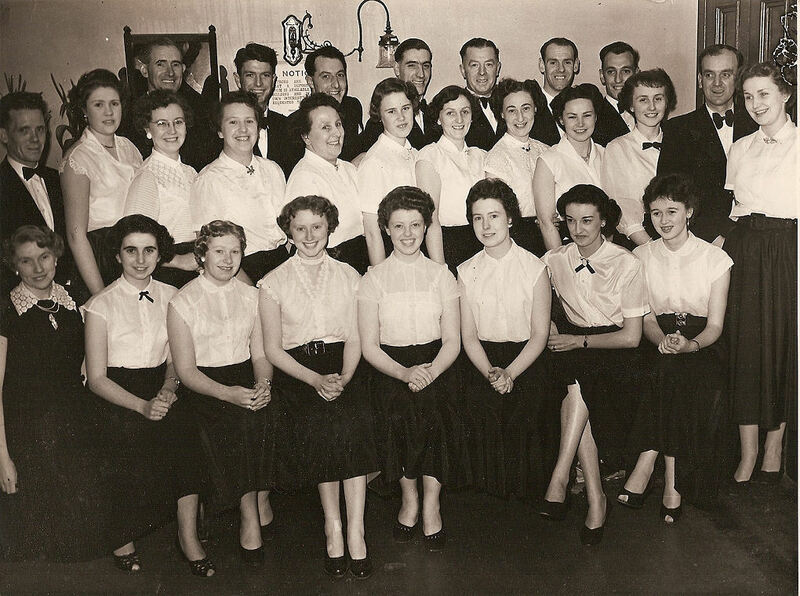 This photo of the Glen Kirk Choir was taken in the Town Hall where they were putting on a concert in the early to mid 50's. Photo and names below contributed by Margaret Hutchison. Back Row - John McPherson, Ian Maltman, Jim Boyd, Jim Kidd, George Corbett, Billy Templeton, Ian Kidd. 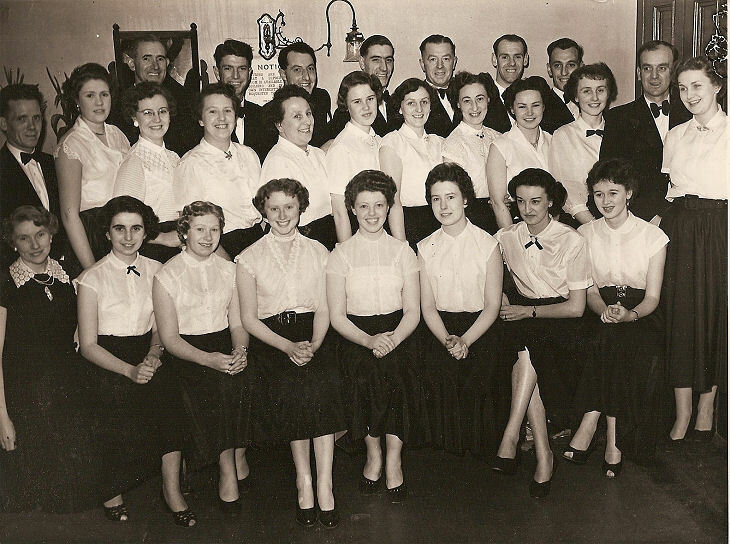 Middle Row - Bob Colquhoun, Jean Kennedy, Ann Alexander, Nan Colquhoun, Nicholas Watson, Mamie Campbell, Helen? Scobie, Nan Corbett, Sadie McGarvie, Betty Kidd, Sam McCulloch, Marion Hempkin.